While the allure of Europe is difficult to outshine, these English cities are just perfect for weekend getaways. Our ultimate list of English cities to escape to for a weekend. 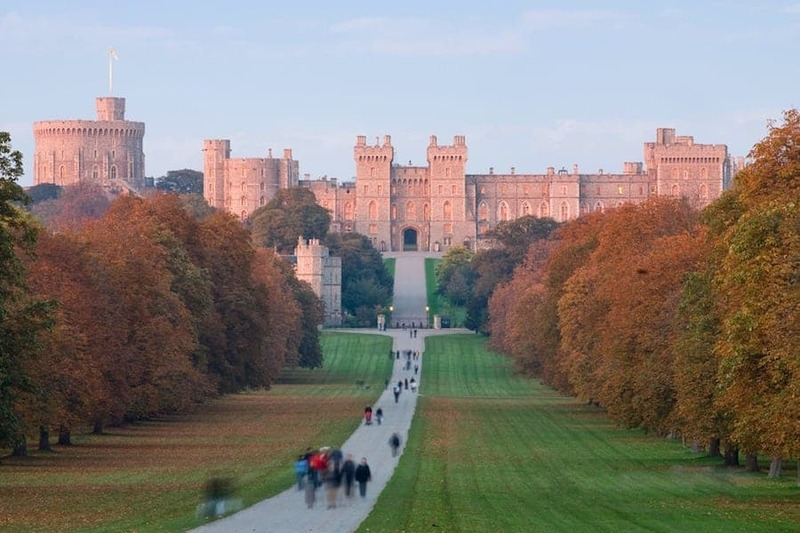 Just under an hour on the train from London Waterloo, Windsor is a great day trip. Most famously it is the home of the world’s largest and oldest castle that is still lived in. It is of course Queen Elizabeth II who lives at Windsor Castle, although not all the time – her weekend house if you like. If the flag is raised then Lizzie is there. Otherwise you can stroll about in Windsor Great Park or cross the bridge into Eton and visit one of the most famous schools in the world and its pupils in their funny little penguin uniforms. Starting in the late 18th Century with the then Prince of Wales, Brighton built its reputation as a weekend retreat for the unfaithful, kind of like a 19th Century Ashley Madison. 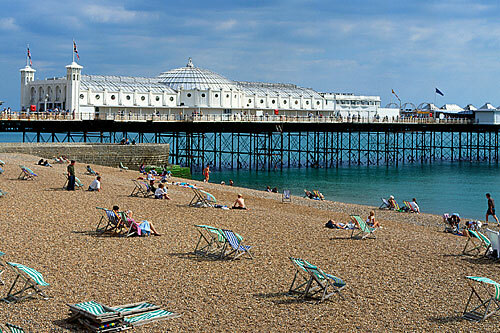 Today, Brighton is Britain’s bohemian seaside resort, the eccentric family member that everyone adores. Postcards evoke a pebbly beach, a famously tacky pier and the opulent Royal Pavilion. But it’s Brighton’s cheery, colourful charm that brings the visitors in. As the UK’s biggest gay scene and home to two universities and an art college, Brighton can be summed up in one word: fun. The summer is the best time to go as foreign students, tourists, festivals and quirky events all come to town; but Brighton is great all year round. And as it’s an hour outside of London, you really have no excuse. Canterbury is another of England’s most famous cities. This is in large part due to the role of Canterbury Cathedral as the HQ for the Church of England, one of the UK’s most iconic Gothic structures and also the famous venue for the murder of St Thomas Becket in 1170. 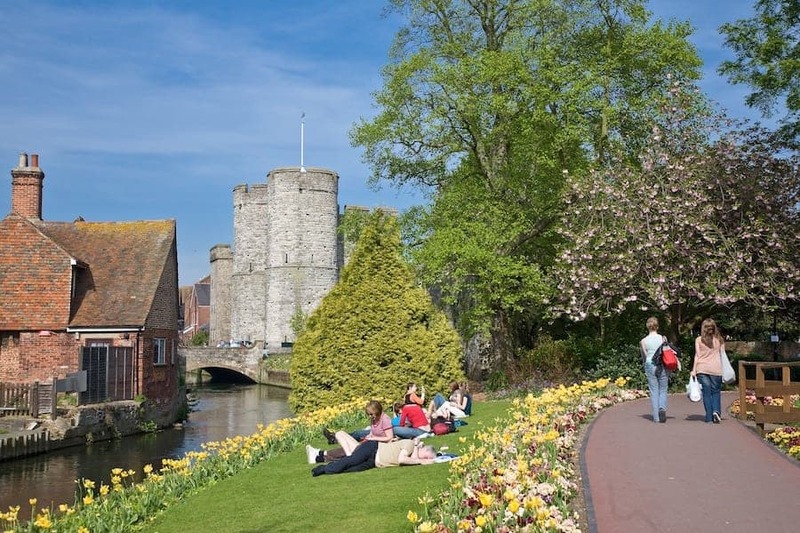 Canterbury is a charming historical city and UNESCO World Heritage Site that boasts, as well as the Cathedral, an impressive Norman castle and pretty Tudor houses. It is well worth a visit and being only an hours train ride from London, you can visit just for the day. As an industrialised city that was heavily bombed in World War II, Portsmouth won’t be in the running for beauty contests anytime soon. However as a proper city, with a large university, there is plenty on offer in the way of nightlife. Elsewhere, if you like ships, Portsmouth may just tickle your fancy. Down in the Dockyard you can climb aboard Henry VIII’s 16th-century warship, the Mary Rose, that sank whilst fighting the French in 1545 and was raised in the 1980s and turned into a museum. Skip forward 250 years and you can visit HMS Victory, the boat on which Horatio Nelson won the Battle of Trafalgar against Napoleon, and another 150 years for a tour of WWII submarine HMS Alliance. 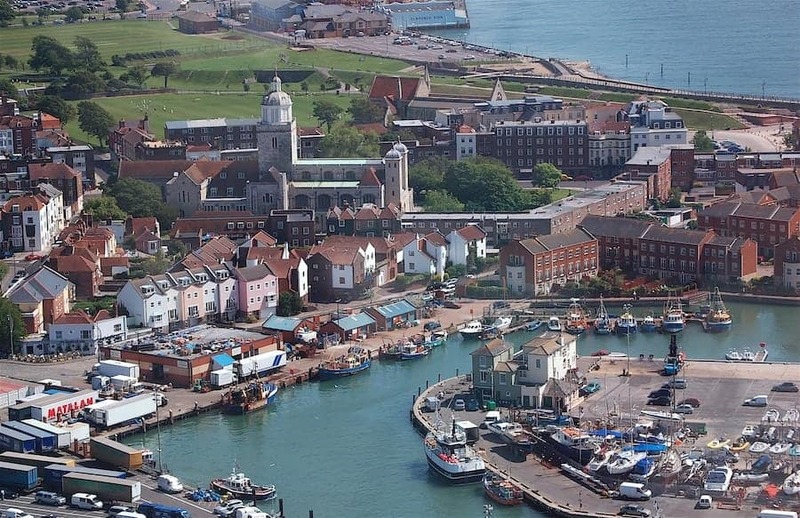 Portsmouth is still home to the British Navy, so the Dockyard provides an excellent timeline as to how a tiny little island once ruled the waves. One final thing we recommend doing is climbing Spinnaker Tower for some cracking panoramic views. Bournemouth earnt its reputation from the 7 miles of sandy award-winning beach that stretches across the city. Furthermore, just up the coast in Poole is one of, if not the largest natural harbour in the world and the UNESCO World Heritage Old Harry’s Rock. Summertime in Bournemouth is a hub of weekenders, tourists and language students all praying for sunshine and enjoying the watersports. 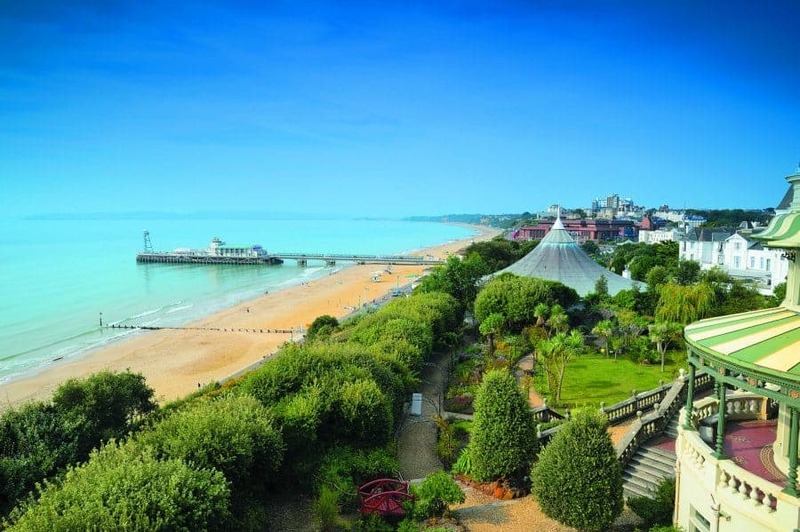 However in recent years Bournemouth has experienced a bit of a cultural renaissance and is increasingly becoming much much more than just its beach. In fact, if you’re planning on exploring the South we recommend you base yourself here. It’s the nightlife in particular that has impressed: Bournemouth is shrugging off its former reputation as a destination for boozy stag-dos, to be an all year round major venue for touring bands, artists and DJs. Oxford is a historic city and home to one of the oldest and most famous universities in the world. While the city remains very much tied to its historical roots however, its large student population means that it’s also a fun place to go out and explore. The city is littered with awesome old pubs and cafes and the university buildings that cover the city centre make it a lovely place to just wander about. You can visit the vast majority of the colleges, though it’s worth checking out the visiting times for each; all of them are a great visit, composed of networks of gardens and beautiful buildings, some of which are hundreds of years old. The largest and arguably most impressive of the colleges is Christchurch (incidentally provided a decent amount of the setting for Hogwarts in the Harry Potter films), which also has amazing parkland surrounding it. The city’s pretty small so you can happily spend the whole time ranging around on foot or by bike, as many of the locals do. It’s fairly crowded with tourists throughout the summer, which is also when the students are on holidays, so there are certainly advantages to going at different times of the year – that and the fact that summer in the UK basically just means ‘sort of less wintery’ anyway. So much history and culture surrounds the city’s streets and buildings – there’s a reason it’s known as ‘the City of Dreaming Spires’. An essential Oxford experience is going for a punt. A punt is a flat-bottomed boat not dissimilar to a gondola if you’ve ever been to Venice. You can pick up a punt from one of two places in the city, under Magdalen Bridge near the High Street or at the Cherwell Boathouse a little out of the city centre. The Covered Market, one of the oldest of its kind in the country and found just off the High Street is a great place to get a taste of local life and also quite an interesting exercise in navigation. Getting lost is guaranteed. Bristol, Bristol, Bristol. Bristol is rapidly making a name for itself as a worthy competitor for London. It serves up all that you could possibly want: architectural charm, a spanking new harbourside, a rich modern art scene lead by graffiti superstar Banksy (spot his murals around the city), community-run cafés, cool bars and live music venues, lush green parks, mega-clubs, festivals and even a beach (sort of). All this but without the chaos and claustrophobia of other big cities (although the traffic is horrendous). 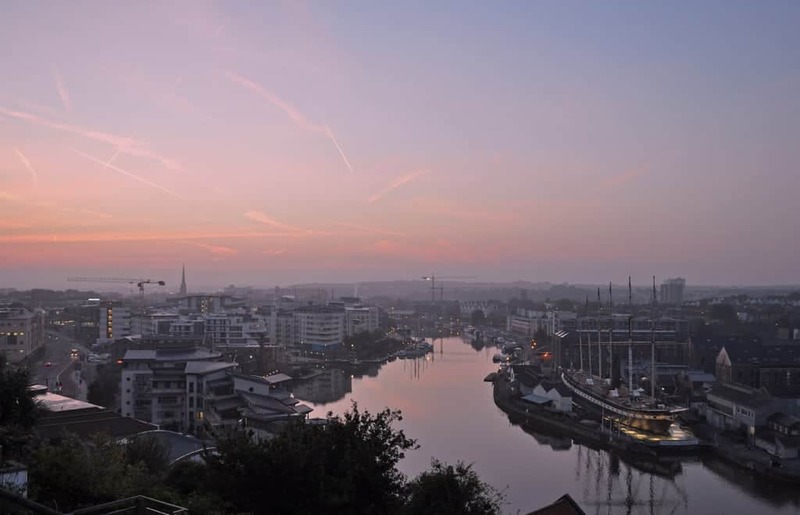 The beauty of Bristol is that you have a blend of cultures and lifestyles all within walking distances of each other. Clifton is your traditional British market town with cosy pubs, delis, an impressive Suspension Bridge and the open-space of the Downs; Stokes Croft and Gloucester Road are a bohemian hub of culture and creativity with vintage clothes stores, cool cafés and trendy bars; Nelson Street, a street given over entirely to graffiti art, leads on to St Nicholas food market; whilst the harbourside is a juxtaposition of the historically significant SS Great Britain, the first iron steamer to cross the Atlantic, and the famous ship / music venue / nightclub Thekla. The Bristolians know how to live and with several massive universities there is always something going on. It has one of Britain’s most influential music scenes producing the likes of Massive Attack in recent years and is slowly drawing young businesses away from the capital. Whilst you’re there, try and get hold of some of the local currency the Bristol Pound – it’s the same value as the British Pound but can only be spent in Bristol. You could spend months parading around Britain’s countryside visiting all her spa and market towns until your heart’s content. Or you could just go to Bath. 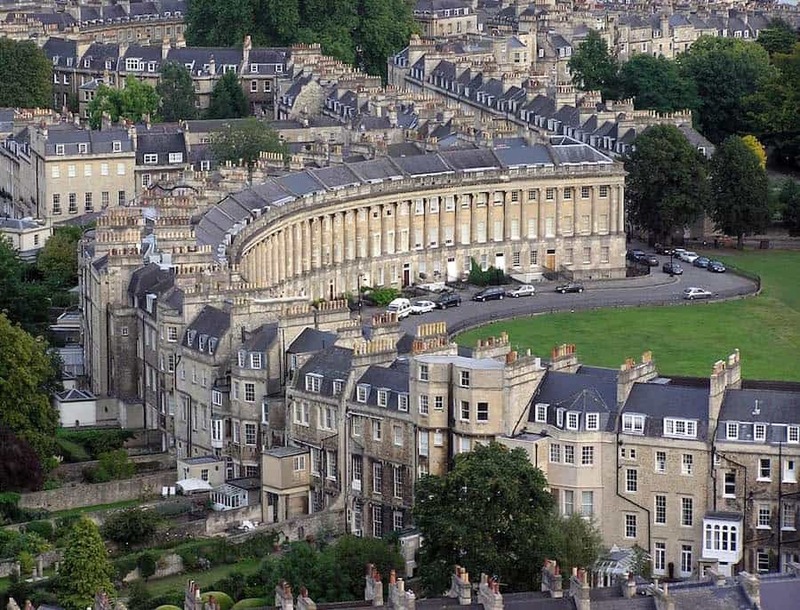 Ok, that’s unfair; every town is worthy of a visit, but if you’re short on time Bath has it all. The Georgian architecture makes the town one of Britain’s most attractive, and much pleasure can be derived from simply wandering the streets. Of course, Bath’s most famous attraction is the Roman Baths and a visit to the hot springs is an absolute must; at the very least it’s a fascinating insight into Roman lifestyle. Where Bath really wins however is that there is plenty to do from dawn until dusk. You can visit on a simple day trip from Bristol (10 minutes on the train) or spend the night and join the university students in one of the town’s clubs. If you can, time your visit with a Bath rugby game – the stadium is right in the centre of town and tickets typically cost £15-35. With some cosy pubs, charming architecture and friendly atmosphere, Bath is the perfect place for that quintessential British experience. Cambridge is one of Britain’s most famous destinations, thanks in most part to its world renowned University. If we compare it to Oxford, Cambridge is perhaps the more beautiful of the two and has changed less in its 800 rough years of existence than its neighbour. The highlight is undoubtedly King’s College and the awe-inspiring Chapel. 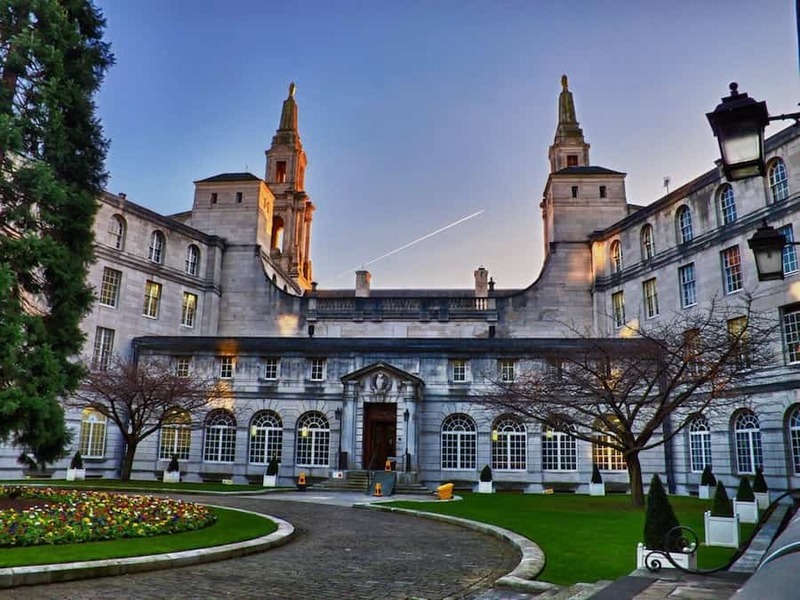 Most choose to stroll the stretch of grass behind the colleges know as The Backs or punt along the river (a flat-bottomed boat a bit like a gondola that you manoeuvre standing up with a long pole); this gives you the best views of the university. An apt description is that Cambridge is a university with a town attached, whilst Oxford is a town with a university attached. Consequently, Oxford has more of a buzz to it than sleepy Cambridge, something to consider especially if you plan to spend the night. Known as the ‘City of 1001 trades’, Birmingham was essentially created in the Industrial Revolution when its population tripled in 50 years. Now Birmingham is the 2nd largest city in Britain and also the most culturally and ethnically diverse. Recent renovations, not least of the old Custard Factory, are helping Birmingham restore some self-confidence, but it will be some time before it completely puts to bed its gloomy reputation. 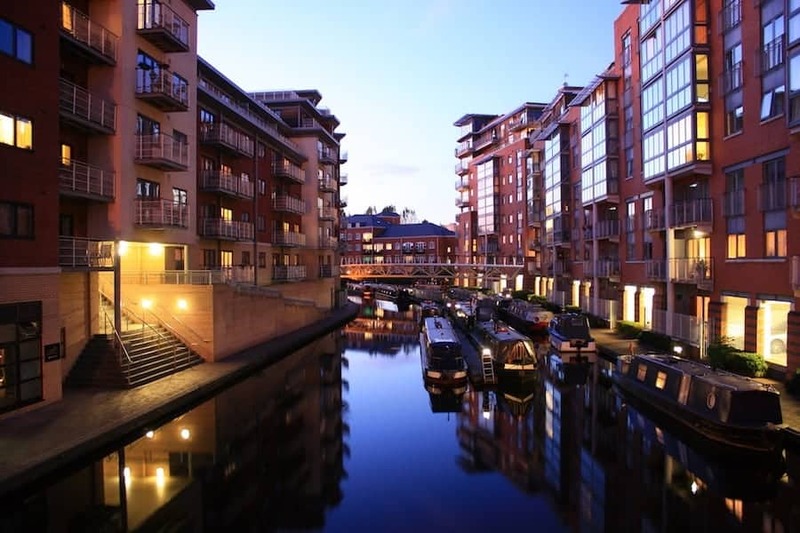 True, Birmingham is now recognised as a first-rate place to live and with several universities and a young workforce there’s a buzzing cultural scene and nightlife. However from a traveller’s perspective, Birmingham is way behind the UK’s other cities and can definitely be saved for another time. This quiet little market town would probably be passed by unnoticed by travellers if it weren’t for one thing: in 1564 a boy called William was born here and grew up to be the greatest writer ever in the English language ever to have lived. Visitors flock in to see the house where Shakespeare was born and to visit his modest grave. 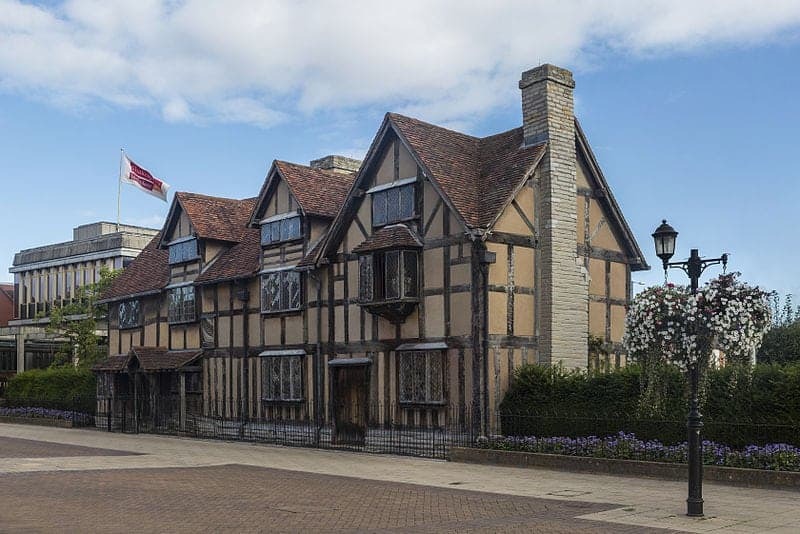 Travelling to Stratford-upon-Avon simply to see where Shakespeare grew up however is not something we’d recommend. Watching one of Shakespeare’s plays in his hometown on the other hand is definitely an experience worth doing, but be aware that they are very long and difficult to understand for even the English themselves! The Swan and Royal Shakespeare Theatres are not where Shakespeare put on his plays, that was the Globe in London. Liverpool is the UK’s success story of the last decade. In the 70s and 80s, Liverpool was a bad joke, known for its economic malaise, crime and violence; redeemed only by the successes of its beloved football team and The Beatles (among a number of other great bands). 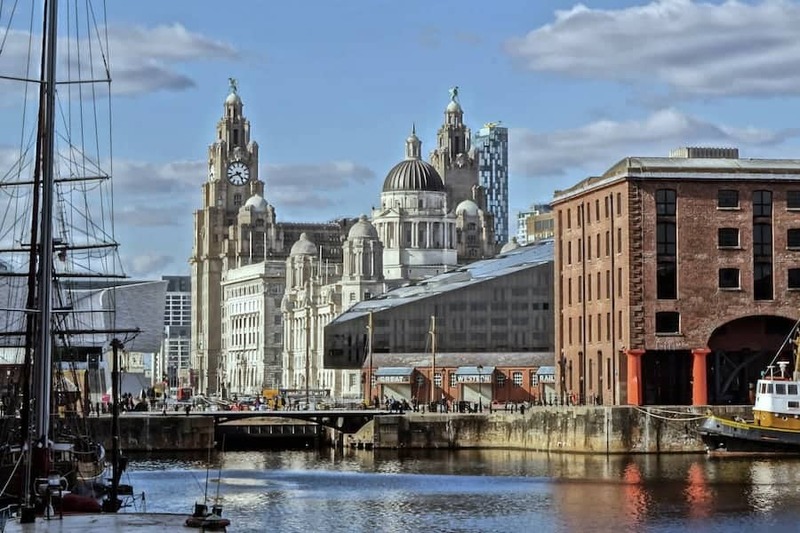 A recent renovation of the city centre and the Albert Docks, now a UNESCO World Heritage Site, have put Liverpool firmly back on the traveller’s map. The European Capital of Culture 2008, Liverpool now boasts more museums than any other UK city excluding London. One thing you must do is head out to Crosby beach where the artist Antony Gormley (same bloke who designed the Angel of the North) has placed 100 cast-iron statues molded from his own body staring out to sea. As the sun goes down, the party loving Scousers (Liverpudlians [people from Liverpool]) come out to play in a city whose music scene is beginning to do justice to its rich heritage. Finally, a trip to Liverpool FC’s Anfield Stadium is absolutely imperative, especially if you can time it with match day. Famous the world over for being home to one of football’s greatest rivalries, Manchester has so much to offer any visitor that you’ll have to be extra careful to make enough time to visit the home grounds of Manchester United and Manchester City. The city’s history is rooted in the industrial revolution and many of the buildings in and around the town centre are evidence of this, such as the old textile factories in Spinningfields. On a typical day out you could go shopping in the Arndale centre, grab lunch in the food court, get a coffee by the canals, eat dinner on “Curry Mile” (the largest concentration of South Asian restaurants outside of India) and top it all off with a few cheap drinks at a trendy bar in the Northern Quarter. 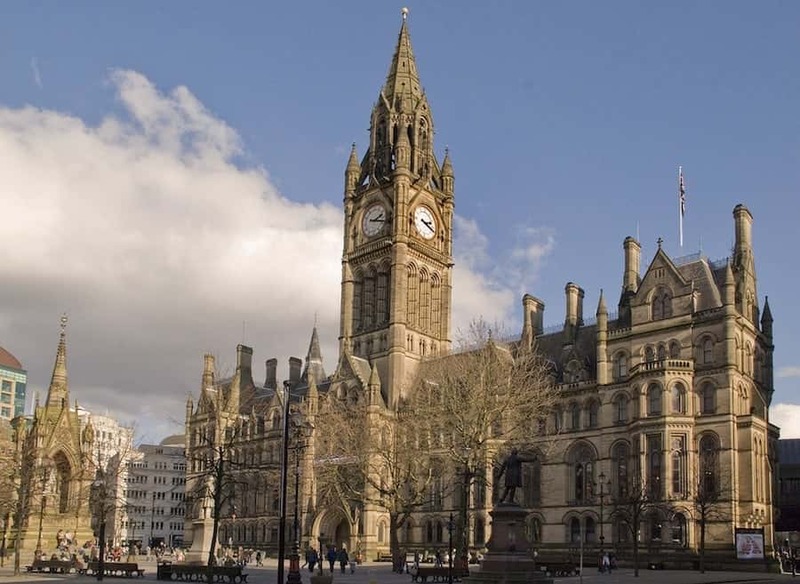 Manchester has something to offer everyone; whether you’re a sports fan, a history buff, or looking to enjoy the nightlife, it will not disappoint. Ever found yourself confused by such phenomena as Costa del Sol, Ayia Napa, Ios and the Ibiza Strip? Well before young Brits relocated abroad for their furious summer partying, Blackpool was the go-to destination. Recognised by its Tower, three piers and famous Pleasure Beach amusement park, Blackpool is unashamedly tacky and over-the-top. And that’s what its 15 million visitors a year love about it. 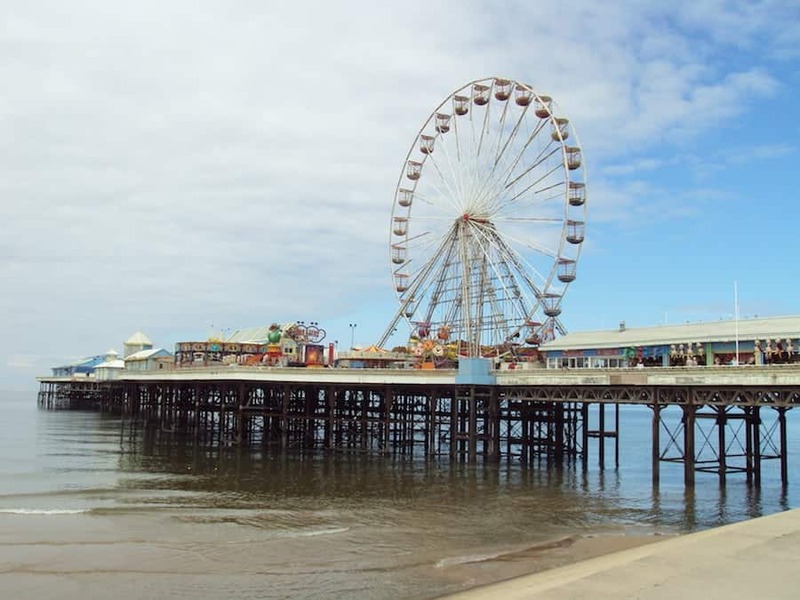 Blackpool shouldn’t be anywhere near the top of your priority list, in fact it probably shouldn’t be anywhere near the list at all; besides, there is more than enough to satisfy your hedonistic urges in nearby Liverpool and Manchester. But perhaps you’re driving up the M6 in summertime and perhaps you feel a slight curiosity to just ‘see’ what’s going on, to just poke your head around the door; well just perhaps we’ll encourage you to check it out. Leeds is another northern city that has made a remarkable transformation in recent years. Built on the back of the textile industry, Leeds, like many industrial cities, went into rapid decline in the second half of the 20th-century; thankfully a full handbrake U-turn has seen Leeds reemerge as the ‘Knightsbridge of the North’, a nickname crediting the number of top fashion brands filling the fully restored Victorian shopping arcades. Despite this ‘urban chic’, away from the centre Leeds is still pretty grimy, however with a large student base there’s a diverse nightlife on hand and a rich music scene. If it’s beautiful old architecture you’re after then you might have your work cut out in Leeds, but you can always spend the day in nearby York. York occupied a leading role for much of British history. 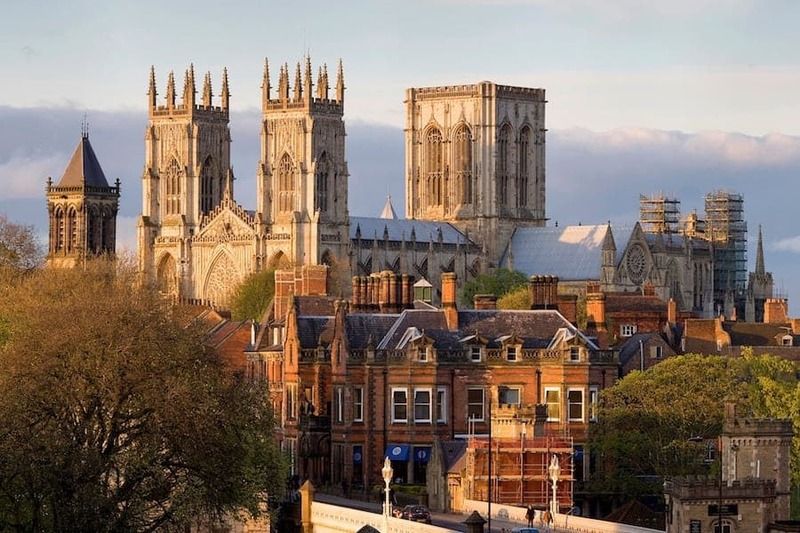 An early Roman fortress from which to conduct northern raids, before falling to the Vikings and renamed Jorvik, York was the capital of the North for centuries and was thus a centre of huge political, economic and religious influence. The Industrial Revolution saw York eclipsed by other northern powerhouse cities and is now largely dominated by tourism. It is an absolute must-visit however and easy to do in a day from Leeds. The enormous gothic Minster cathedral is arguably one of the most beautiful in Europe, and The Shambles is the continent’s best-preserved medieval street and was mentioned in the 11th-century Domesday book. Finally there’s the Jorvik Viking Museum whose interactive approach with actors may put some off, but is still an interesting insight into the Viking era. Much of the North’s industrialisation passed York by, so a trip there is a surreal transition into medieval Britain. Newcastle upon Tyne is a city whose mention brings a smile to every Brit’s face. It was badly damaged by the economic upheavals of the 1980s and is still one of the poorest cities in the UK, but there’s a certain charm about the city that is hard to explain. Perhaps it’s the friendly Geordies with their soothing accents and happy-go-lucky attitude, who knows, but you’re guaranteed a warm welcome and a lot of fun. In fact the welcome begins with the Angel of the North, arms outstretched, embracing you on arrival. Recently immortalised in the reality TV series Geordie Shore, Newcastle’s nightlife is famous all over the country and in a few European resorts for being cheap and heavy. Try your hand (and liver) at a treble : 3 shots of vodka and mixer for £5! 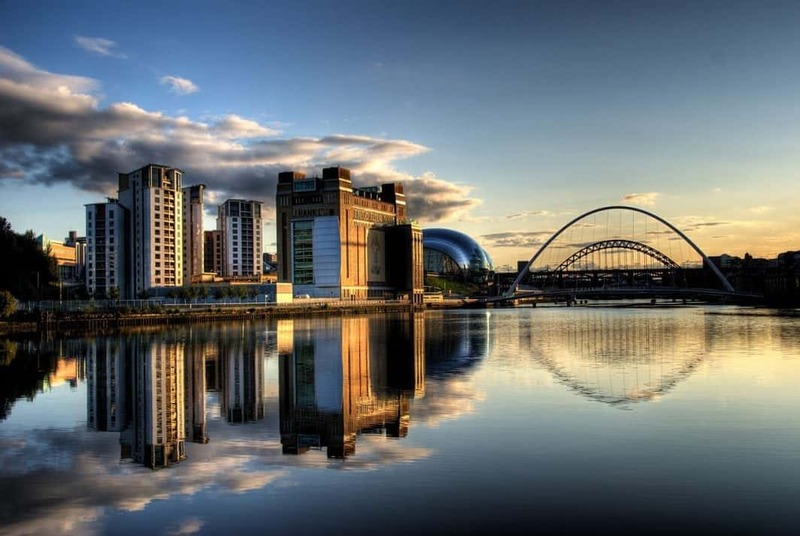 Within the city, the new glitzy Sage Gateshead concert hall leads the city’s recent renovation and you’ll find one of the country’s best modern art galleries outside London in the Baltic Centre just across the sleek Millennium Bridge. Of course St James’ Park, home to Newcastle FC, is another landmark and should definitely be visited if there’s a game on. Outside you can easily visit Hadrian’s Wall and Durham.